Bright Plastics has known continued success in our ability to install operational molds quickly, saving our time and your money. 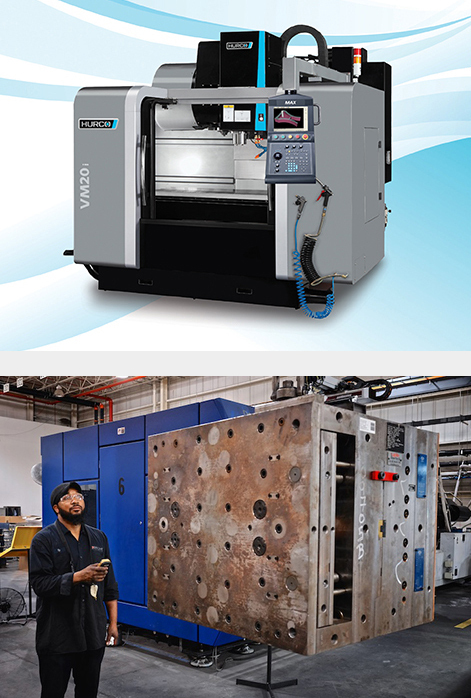 In-house mold making capabilities, including state-of-the-art CNC equipment, enable Bright Plastics to substantially reduce downtime and cost of repairs. Bright has extensive resources and computer tracking of tool usage that allow us to perform preventative maintenance, increasing the customer’s return on investment. Our expert engineering and molding staff work as a team to identify problems that may occur during production. We then offer solutions and execute changes to provide a better molded product. Offering a complete mold management program, Bright Plastics is happy to manage all details of the mold transfer process for you, should you entrust us with your business. From one to one hundred, we thoroughly inspect your molds and present a complete endorsement including full articles, FMEAs (Failure Mode Effects Analysis) and/or PPAPs (Production Part Approval Process) when requested. We provide a comprehensive disclosure in our first article report so that our customers are aware of any issues we may anticipate. We invite you to visit our facility when we're inspecting your molds, and even during the initial production run. We insist upon an open communication with you throughout this transfer process. Bright Plastics has known continued success in our ability to install operational molds quickly, saving our time and your money. Currently, Bright repairs and maintains 550 tools for more than 75 customers who purchase almost 3,000 products, collectively. If you have questions about our mold maintenance practices, or our mold transfer program, please contact us at sales@brightplastics.com or 336-668-3636. Hurco is a registered trademark of Hurco Companies, Inc. All rights reserved. Titan is a brand name from the Demag Plastics Group Corp. product line.